Bzzt! Image Editor’s second beta is now available for download. The interface has been reworked to accommodate lots of new features that were added or have been planned for future versions. The full list of feature additions and bug fixes since beta #1 are listed below. If no serious bugs are discovered in this beta, the first stable build of Bzzt! Image Editor should be released within the next couple of weeks. You can download the latest version of Bzzt! from its official download page. No comments. Posted July 15, 2017 in Releases. The French and Turkish translations in the multilingual edition of CCEnhancer have been updated. Furthermore, the CCEnhancer definitions received an update today, and will continue to receive updates every Friday. No comments. Posted July 14, 2017 in Releases. Remembr 0.6 is a minor update that improves compatibility with recent versions of Windows 10 and adds new localizations for French and Dutch, plus improvements to the Greek translation file. Along with our other software titles, Remembr 0.6 now requires the Microsoft .NET Framework 4.0 or newer to be installed. Download it from the Remembr homepage. No comments. Posted July 13, 2017 in Releases. 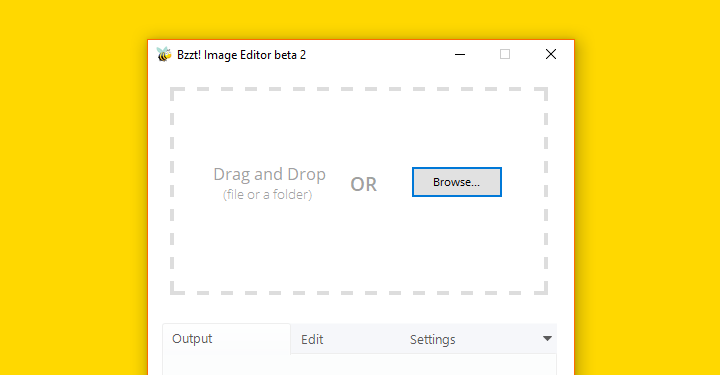 We’re proud to announce the first beta of our new batch image editing tool — Bzzt! Image Editor. The first beta offers a simple drag-and-drop interface to quickly convert, compress and resize image files. It’s perfect for shrinking image files down before uploading them onto the web. No comments. Posted June 7, 2017 in Releases. System Ninja 3.1.7 is now available to download. In addition to the various speed improvements, we also fixed a big pile of bugs and added support for the Windows 10 Creators Update. Increased the number of recognized startup items. System Ninja 3.1.7 can be download from this page. Pro Club members will receive the update next time they launch System Ninja Pro. No comments. Posted April 18, 2017 in Releases. Updated Japanese, Turkish and Traditional Chinese translations. The latest version of CCEnhancer can be downloaded from here. Don’t forget that new definition files are released every Friday. No comments. Posted March 18, 2017 in Releases. System Ninja 3.1.6 is now available. This release adds a Duplicate File Finder tool and improves cleaning for a variety of different programs. Added duplicate file finder tool. Added information and recommendations for more startup items. You can download this version from the official homepage. System Ninja will update automatically for users with the Pro edition. No comments. Posted January 2, 2017 in Releases. CCEnhancer 4.4.1 is a minor maintenance release to correct some issues affecting a new small number of users. A couple of localization files have also been updated for our non-English speaking users. If you’re not experiencing any issues with CCEnhancer rendering correctly, or don’t require the above translations, there is no need to update to this version of CCEnhancer. The update is available to download from here. No comments. Posted August 28, 2016 in Releases. Hi there! We’re happy to announce that System Ninja 3.1.5 is now available for download. The highlight of this version is the major aesthetic improvements to the startup and process management tools. Several minor fixes and UI tweaks that aren’t worth mentioning. You can download System Ninja 3.1.5 from the usual download page. If you’re a Pro Club member, your copy of System Ninja Pro will update automatically. No comments. Posted August 11, 2016 in Releases. 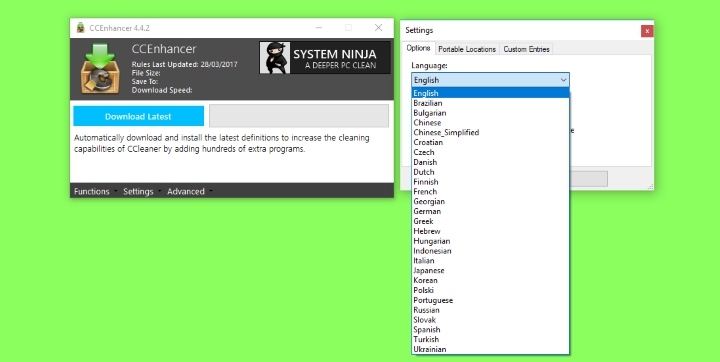 System Ninja 3.1.4 improves cleaning support for Google Chrome, Internet Explorer and Microsoft Edge, plus adds some new features to the startup management and system analysis tools. You can download the latest version from System Ninja’s product homepage. Pro Club users don’t need to do anything, as the newest version will be automatically installed the next time you use System Ninja. No comments. Posted June 2, 2016 in Releases.